"I have used my Nokia phone for almost three years and just got a brand new iPhone 7 Plus this Christmas. I want to give away the old Nokia phone but all my SMS remained stay in the old Nokia phone. I just wonder how to move all the text messages from the old Nokia phone to the new iPhone 7 Plus because I don't want to lose the best memories that carried by the text messages." Well, no matter for what kind of reasons you want to transfer text messages between a Nokia and an iPhone, it would be a piece of cake to do so. 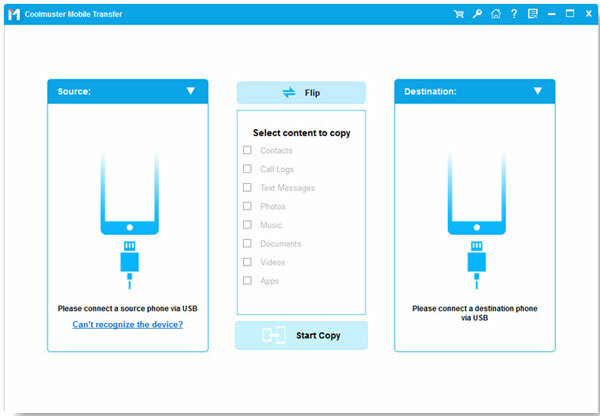 This article is intended to show you the easiest method to transfer text messages from Nokia to iPhone, or from iPhone to Nokia, with the help of the Coolmuster Mobile Transfer. The program provides an easy way to make the SMS transfer between Nokia and iPhone X/8/8 Plus/7/7 Plus/6S/6/5S/5. 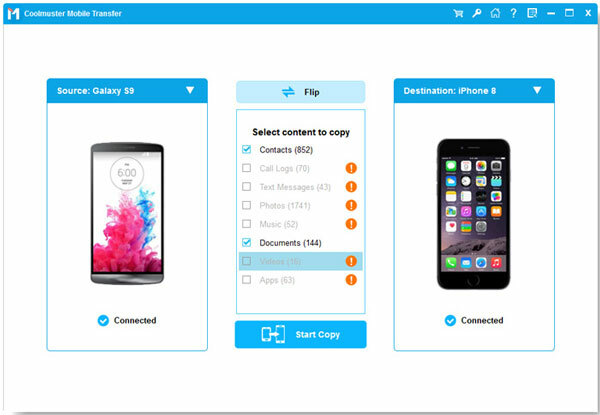 You can also transfer contacts, photos, videos, music, apps and more between two phones with this software. Mobile Transfer won't alter your phone data, all data can be original after the transferring process. Now, read the following guide to see how to use the Coolmuster Mobile Transfer to copy messages from Nokia to iPhone. photos, videos and music between iPhone and Nokia, but it will support more file types soon. How to Copy SMS Messages between Nokia and iPhone? To start with, download and install the recommended Mobile Transfer on your computer. Launch it to show the primary window on the computer. Choose the first "Phone to Phone Transfer" mode. Connect your iPhone and Nokia phones to the computer simultaneously by using two USB cables. Mobile Transfer will detect the two devices and show them in the program window. All transferable file types are listed on the above. Highlight the file category of "SMS", open it and preview to tick off all the text messages you want to transfer. Finally, you can give a click on the left or right arrow to start the SMS transfer between Nokia and iPhone.